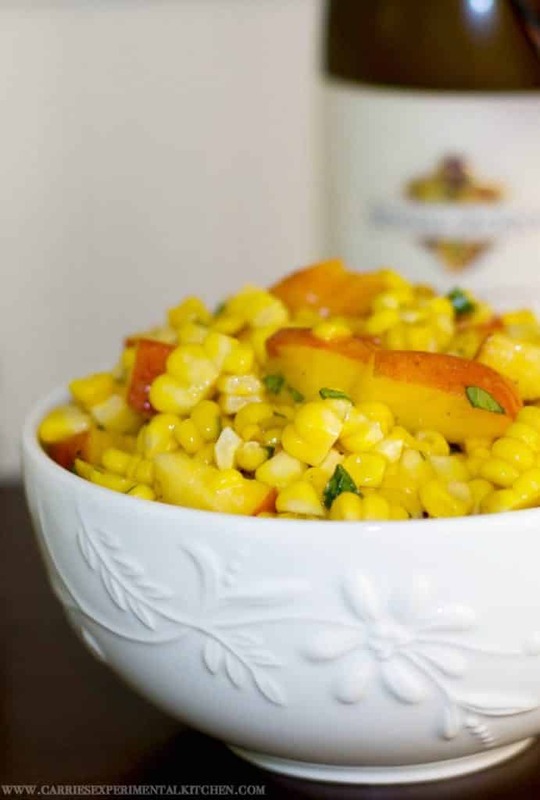 This Corn & Peach Salad is refreshingly light with a hint of sweetness. 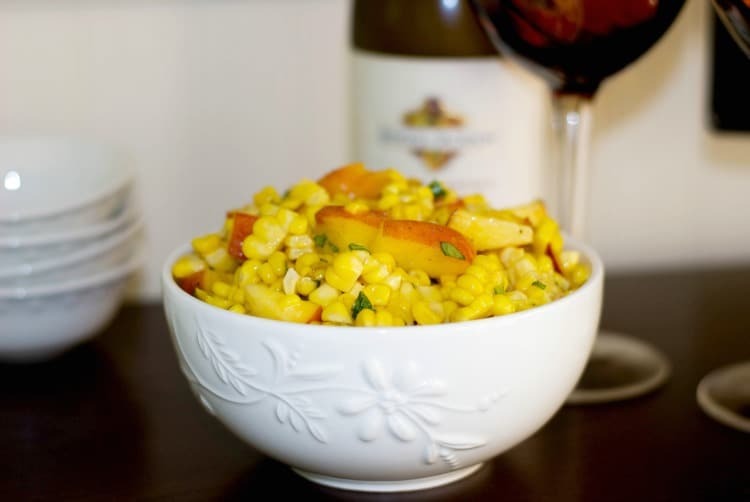 The perfect use for leftover summer corn on the cob. I generally don’t make corn salads unless I have left over corn on the cob. I guess it’s just that I hate to waste leftovers and corn on the cob just doesn’t taste the same reheated the next day. 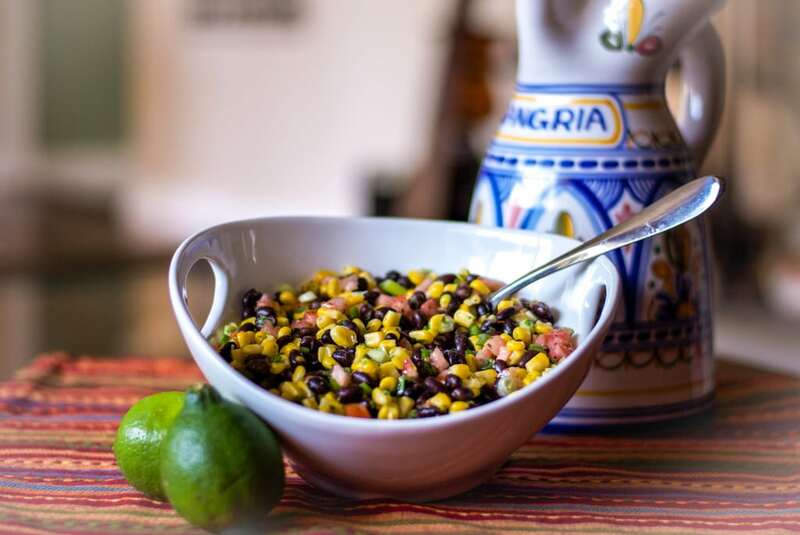 I did include directions below on how to cook the corn first just in case you want to start from scratch or you could also use frozen corn if it’s not in season. We love fresh Jersey corn in the summer, but now that G has braces, it’s a little hard for her to eat on the cob so she has to cut it off for now. 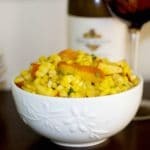 This Corn & Peach Salad was refreshingly light with a hint of sweetness and was also really quick and easy to make. It went perfectly with some Grilled Honey Dijon Chicken; which I’ll have to make again because my official taste testers were extremely hungry and ate the chicken before I had the chance to photograph it! ~Enjoy! Shuck the corn removing all of the hairs and place in a large pot. Add cold water and bring to a boil over high heat; then reduce heat to medium and let it simmer for 6-8 minutes. Remove the corn from the pot and allow to cool. 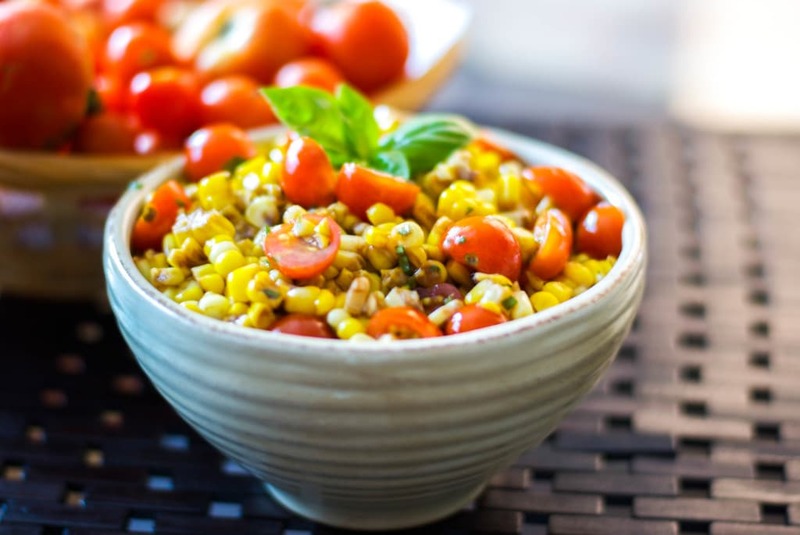 Using a sharp knife, hold the corn upright on a flat surface(cutting board works fine) and cut off the kernels by slicing the knife downward. Place the kernels in a bowl and add the peaches, basil vinegar and oil. Mix well and season with salt and pepper. Refrigerate until ready to serve. What is your favorite way to eat corn on the cob? 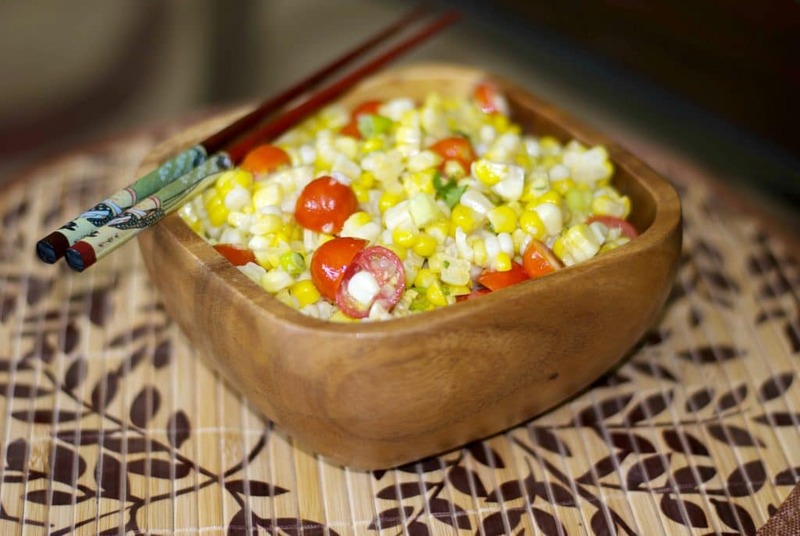 I already know I like Alanna’s corn, cucumber, and blueberry salad so I am positive I will like this corn and peach salad. Wonderful summer flavor combo! I have two in braces, so I need to sneak my corn-on-cob eating on the sly. I like it hot and buttered, but I’ve had cold, salted, corn on the cob as well (think cold pizza) and it’s delicious too! Thanks–I look forward to trying this!